This guide to the essentials of doing participatory methods in a broad range of health contexts covers all of the stages of the research process, from research design right through to dissemination. With chapters from international contributors, each with many years’ experience using participatory qualitative approaches, it provides guidance on. 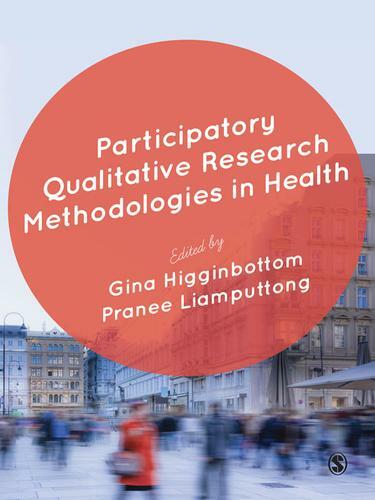 Packed full of up to date and engaging case studies, Participatory Qualitative Research Methodologies in Health offers a wide range of perspectives and voices on the practicalities and theoretical issues involved in conducting participatory research today. It is the ideal resource for students and researchers embarking upon a participatory research project.